Welcome to the World of Fertility! 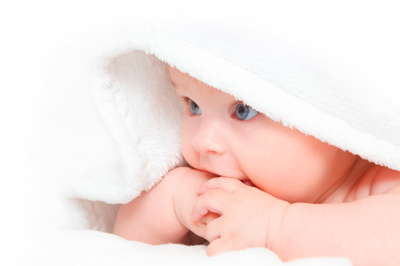 The HypnoBirthing Fertility Support Program for couples in South Wales and South West of England. What is HypnoBirthing Fertility Program? How does a negative emotional state & hormonal system (ovulation, fertilization, conception) affect you? Stress & Fertility and how they are linked? Love, Loving and Feeling Loved is the key to success! Healthy Pregnancy and Birth. What needs to be considered? Conceiving a Baby should be a Natural and a Normal Experience! Since conception is a natural and normal event for healthy men and women, why do some couples experience difficulties? What is happening within the body, the couple or even the family to block this natural, normal function? Conception and sexuality are very special, emotional and private aspect of person’s identity. The MumMeBaby Fertility Program has been especially designed to guide you with respect and dignity in your journey to fertility and conception. You will discover how your life experiences can create your beliefs and thoughts, about your bodies, conception, sexuality, birth, patenting skills and much more. Working together through these barriers, MumMeBaby will help you make the changes to those beliefs and thoughts, which will bring a change in your body and its ability to conceive. If you are planning to get pregnant and are emotionally ready, congratulations! What about your physical, emotional and psychological wellbeing? How can you reach your maximum potential and insure the best possible health for you and your future baby? The MumMeBaby Fertility Program can give this knowledge. Our goal is to help you overcome “Tunnel Vision” and see the “Bigger Picture”. By managing stress and anxiety you will be able to see your options clearly. You will be able to open doors and make changes in your life and helping “Biological Pregnancy” to take place. Conceiving is the period leading from the moment you have decided you want to have a baby until you become pregnant. During this period, which may vary from couple to couple, you can make a huge contribution to your own health and your future generations. Starting with improving your dietary habits, exercising regularly, reducing or ideally eliminating smoking and drinking. Making sure you are up to date with your vaccinations and many other useful changes that you can make during this period. You might think this is the Ideal World! Not everyone has the luxury to think ahead. Nevertheless, for couples that plan their pregnancies, preconception care can help them to make the necessary changes well in advance. The MumMeBaby Preconception Education Program will give you the knowledge to guide through your journey. This time can be used wisely to consider issues that might have an effect on you and your baby later in life. For example this may include; immunization screening, anemia, diabetes, high blood pressure, allergies is a small list of things, which could be mentioned here. Steps can be taken to reduce the risk of birth defects. One of the examples of this is taking folic acid during preconception and the first 12 weeks of pregnancy. By taking action on potential health issues before pregnancy, you can prevent many future problems for you and your baby. Several studies on fertility have found that healthy women with fertility troubles tend to have high levels of the stress hormone cortisol in their blood. Interestingly, cortisol is the same hormone that seems to shut ovulation in female athletes. 5% of all women at any given time have stopped menstruating because of the stress. Another study published stated “Couples were less likely to achieve pregnancy if men had a history of depression or had a low self-esteem”. Stress also can lead to a reduced sperm count. Do you know that reducing your cortisol levels (stress hormones) the success for fertility rises up to 60%! Over exercise can affect fertility in men and women. 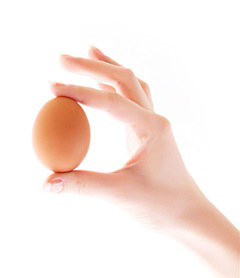 Women who are suffering with Polycystic Ovary Syndrome (PCOS) are often asked to reduce fats. Are you aware that fats are absolutely essential for ovulation? Healthy couples with no obvious medical issues can experience difficulties to conceive. Do you know that by making love three times a week, 50% of the couples will be able to conceive within three months! 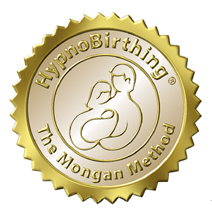 The advantage and confidence of a trained instructor experienced in the Original Marie Mongan HypnoBirthing Programme. We are so excited to teach this program. This is so much more than just Fertility Support. In a group or private sessions it is your personal choice. For further information, please contact us via MumMeBaby contact page.